Airspan | Alsatis selects Airspan to deliver a remote last-mile rural broadband fixed wireless access solution. 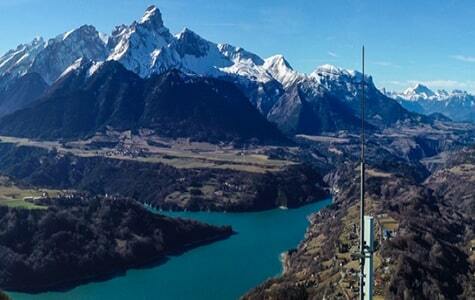 ALSATIS in partnership with Airspan has collaborated to develop a non commercial pilot network to deliver super-fast broadband to the underserved residents in the town of Beaufort situated in Isère a region located within the French Alps. The aim of the pilot was to demonstrate the feasibility of providing super-fast broadband using Fixed 4G LTE ( or ‘’THD Radio’’ ) in the licensed 3.5Ghz spectrum that was made available by French regulator (ARCEP). Airspan’s full EnodeB outdoor solution, AirHarmony 4200 was an ideal fit for the currently available infrastructure which ultimately allowed for a simple and rapid deployment. AirHarmony’s low energy consumption along with its future proof software features will copy with any additional capacity requirements. The demand for superfast broadband service in the area of Beaufort is very strong. Wifi unlicensed technology is used since many years to reach customers not connected to wireline Broadband. As a result, the local businesses and residents suffer from their existing WiFi connections with speeds only reaching 20 Mbps during off-peak times. During the time of heavy data traffic, these speeds were heavily impacted by oversaturation of the WiFi network as more and more users connected to the network. In addition, latency issues and numerous drop-outs are daily concerns of users. It took less than 3 weeks for Alsatis (excluding release of Spectrum license) to deploy and activate the service in the Pilot area. Less than one month into the pilot uninterrupted connectivity at speeds ‘’up to 90Mbps’’ were achieved with a significant reduction in latency. Local businesses and residents are now experiencing fibre-like speeds similar to those in the urban areas. “As a businessman in Beaufort it is important that I have a reliable broadband connection, I am often frustrated by not only slow speeds but constant drop-outs, these were having a negative impact on the day to day operations of my business. This new solution has quickly put paid to my previous experiences and I can now achieve average speeds of 45 Mbps said Patrick S. owner and manager of his connected farm. 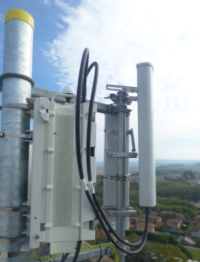 “We are delighted to collaborate with Alsatis on this pilot project in Beaufort and are working towards deploying this solution across the whole area of the Isère region to continue to provide super-fast broadband into underserved areas,” said Giuseppe Bernini, Airspan Networks. ‘’ Alsatis began its collaboration with the Department of Isère in 2008 by setting up a WiFi network designed to provide Internet access service. Mid 2018, Alsatis, selected Airspan to demonstrate the importance of the “THD Radio Alsatis” solution. Throughout this project, Airspan was able to provide support from lab tests to field commissioning (speed tests up to 90Mbps) thus ensuring the overall success of this project. Our clients have provided very positive feedback and the success of the pilot reinforces the future choices of the Department of Isère in its digital development strategy.